Go to careers.tcs.com or tcs.com/careers to land on the TCS careers page on which you are presented with methods to search for an ideal job. You can click "Career Opportunities" on the navigation bar to find jobs or browse the four career areas below to fix one that best fits you. Here, we take Experienced Professionals as an example to go through TCS online job application. In this step, you can fix one of your ideal job at TCS by clicking the job titles listed in the job list, you may turn page to browse the exact job you are looking for or you can search job by clicking the "Job Search" button. 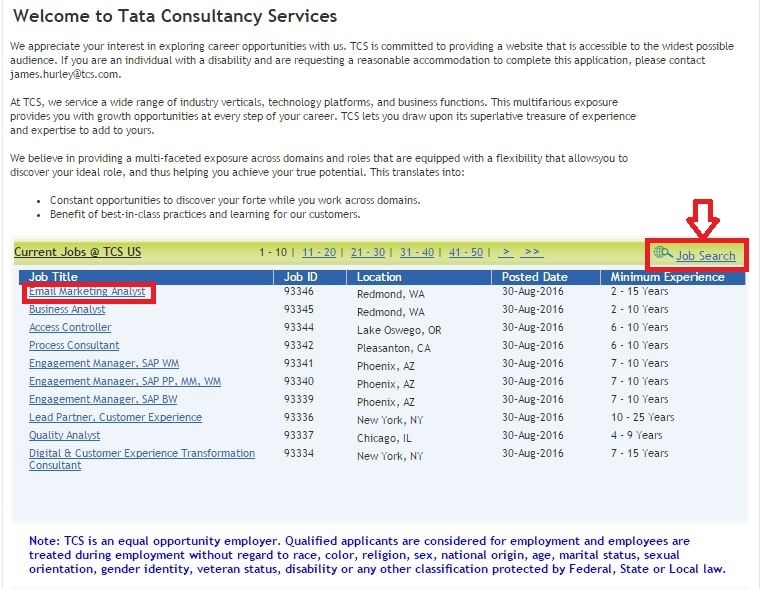 Here, we take the latter one as an example of how to find a job at TCS. 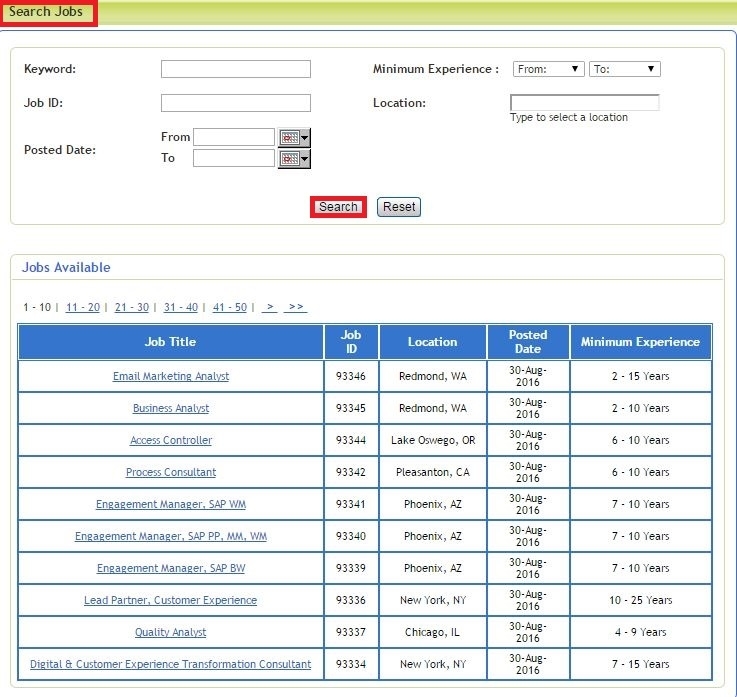 After you click "Search Job" in the last step, you'll be directed to the page shown below on which you can input keywords, job id and select minimum job experience, location and the job post date to search the exact job you are looking for. Below are job available which you could browse to get one of your own. 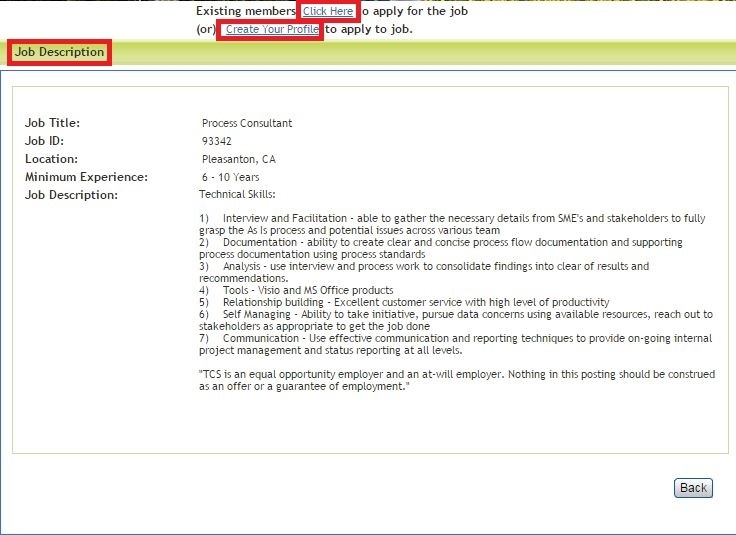 After you get the exact job you want to apply for and click the job title, you'll be shown page below which presents the specific job description. If you are an existing member of TCS, just click "Click Here" to apply for the job or you can also create you profile first by pressing the link if you are not a member. Here, we choose to create profile. 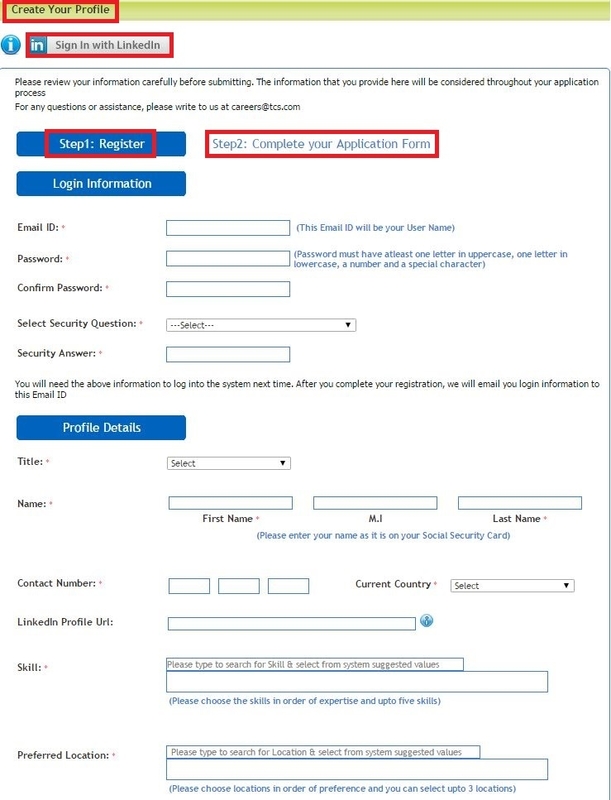 You are asked to create your profile by filling out the required information including login info and personal profile details and submit. Or you can sign in with your LinkedIn account. 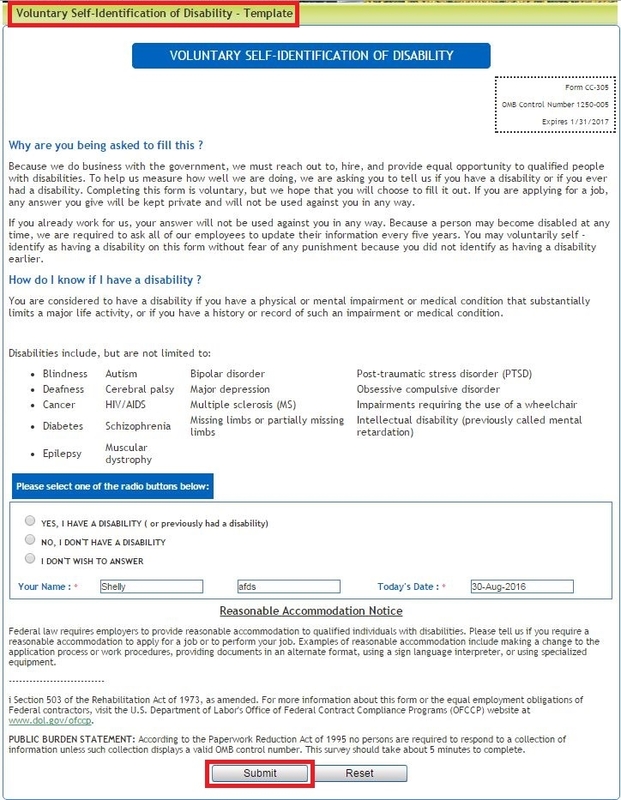 After you registered as a new member of TCS, you'll be then led to the page shown below asking you to read the Self-Identification of Disability and make judgement according to your personal condition. Afterwards, you can click "Submit" to come back to the page in the last step and press "Submit" to complete the whole registration process. 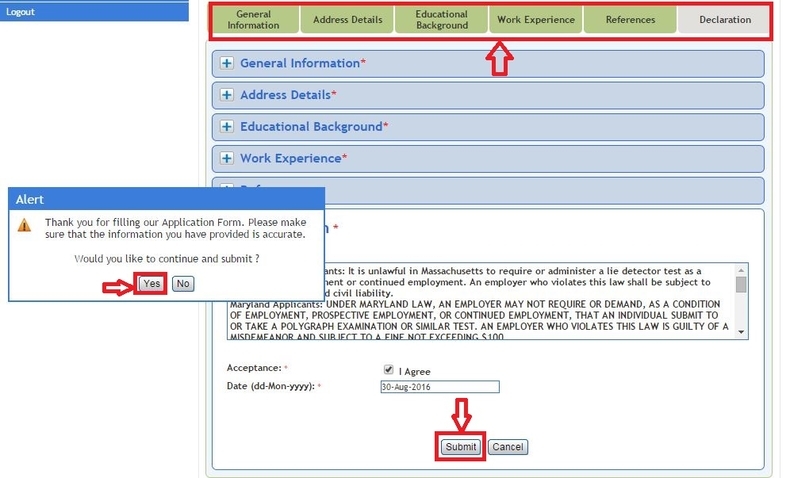 Step 7 asks you to complete your application form which actually contains following 6 parts with each of which done you could click "Submit" and then confirm your submission by press "Yes". After you submit your application form, you'll see the page below that tells you've completed the TCS online application process. You may use the "Edit My Details" link to make changes of your personal profile. 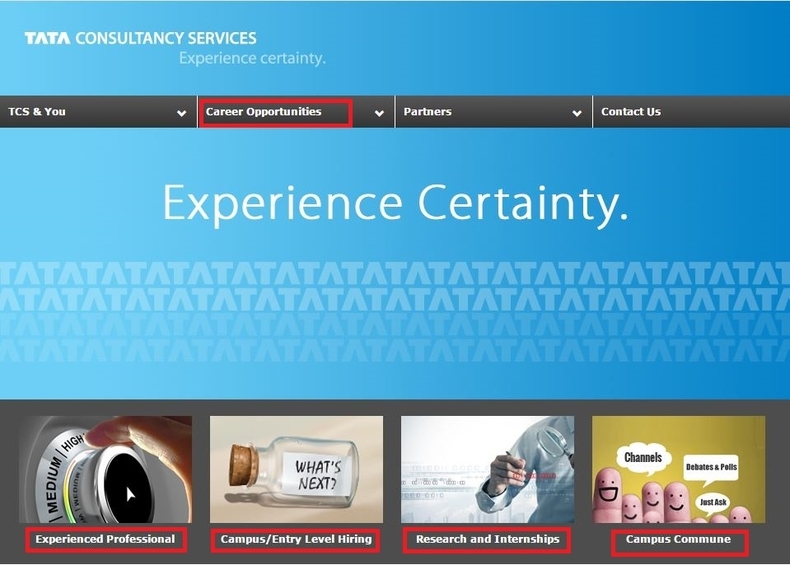 Click tcs.com/careers to apply for TCS jobs online.